Picture the scene: you return from a gruelling four-hour shift manning the desk at your local library, only to find the postwoman has left you a card. She tried to deliver a parcel while you were out. 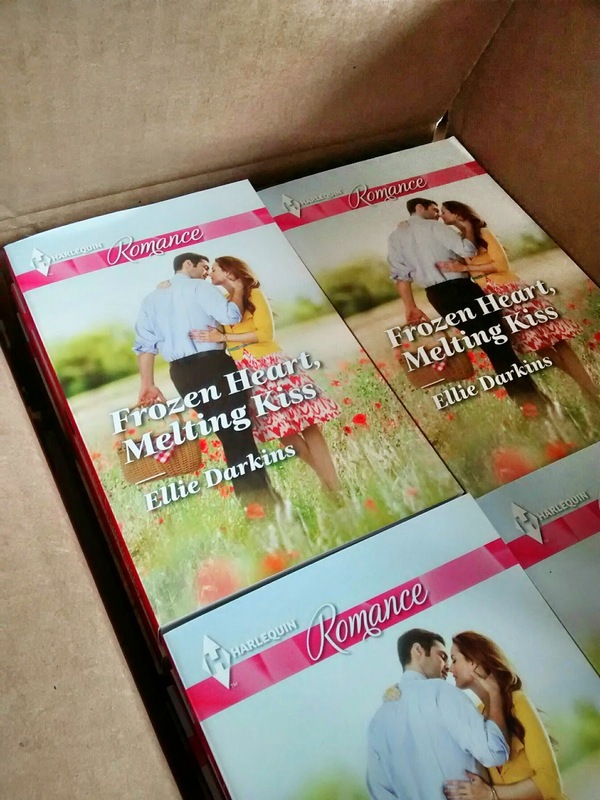 And your author copies of Frozen Heart, Melting Kiss are due any day. But you've a deadline tomorrow, and no time to head down to the village and back. So I wait Friday until morning, when the proofs I've been correcting are finished, and head to the post office, full of anticipation of paperback loveliness. I head up to the counter with grin on face and bounce in step, and deal with business first, getting my proofs in the post so they arrive on time. And then I hand over the red card, practically dancing now with anticipation. The lady in the post office digs round behind the counter, picking up and looking at different parcels in turn. It's not that one! I want to shout. It'll be a bigger box than that. But what's this? She's heading back to the partition, with a unfeasibly small parcel. It's got my husband's name on it. No parcel. No books. An electrical connector for a Golf GTI alternator. Sob. They're HERE! They're BEAUTIFUL! They're ALL MINE!! OK, so this last part isn't true. They'll be winging their way shortly to reviewers, as giveaway prizes, and to some of the fabulous people who helped me get this book written. So maybe next time you get a card from the postie, Will and Maya will be waiting for you.